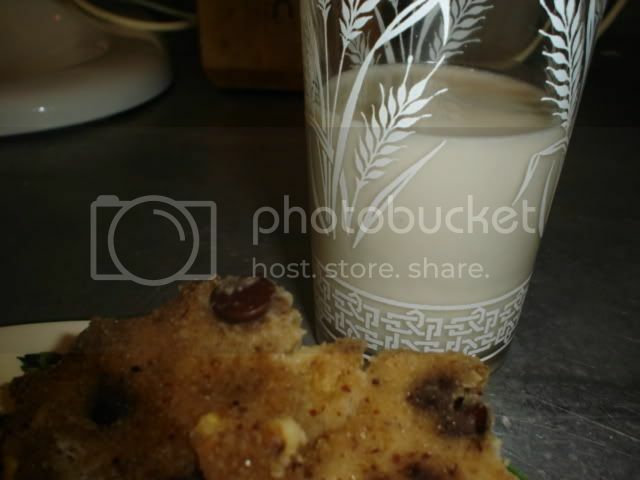 The Accidental Vegetarian: Fun with Raw Foods: Nut Milk, Chocolate Chip Cookies, and Ice Cream! 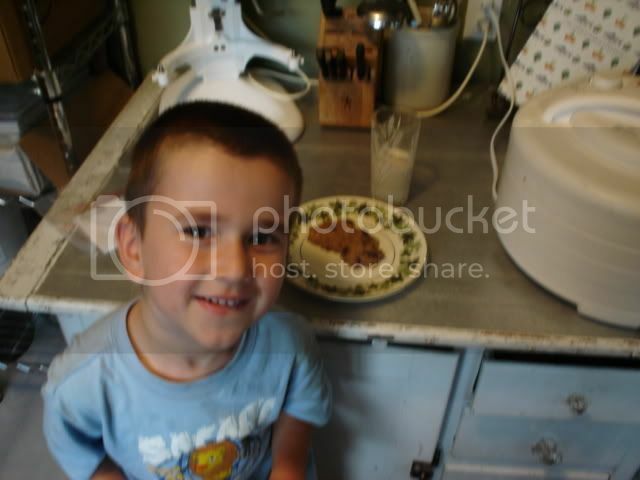 Fun with Raw Foods: Nut Milk, Chocolate Chip Cookies, and Ice Cream! I've been intrigued by the whole 'raw foods' thing for a few weeks now... perhaps in direct response to the joy of eating lots of char-grilled meat. Although I don't think eating a raw-food-lifestyle will ever be for me, there are a lot of really cool recipes out there. We've been thinking of dropping dairy for some time, now, and reading about soy recently has scared me off of soy-milk, especially for my boys. I'd decided to start subbing in non-soy alternatives when I came across some great raw-food books that had tons of recipes for nut milks. Of course that got me thinking (the recipes seemed pretty consistent and very flexible), so I decided to try my hand at it. Nuts, of course, can be prohibitively expensive (especially the raw organic), so I decided to sub in an equal measure of sunflower seeds for half the nuts in my nut milk recipe. The results were fabulous! This is a milk I could happily drink every day, and at 2.50 a gallon, it's really affordable. I even made chai tea with it this morning, and lurved it. 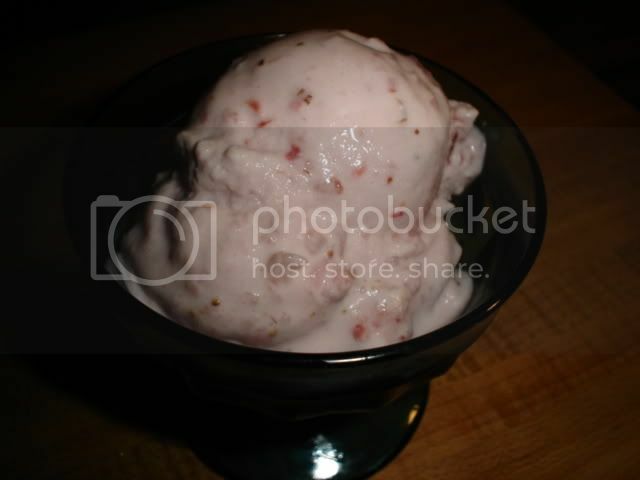 I took the nutmilk and used it (with coconut milk) to make homemade strawberry ice cream. If I dare say so, it tastes VERY close to Breyer's 'natural' strawberry ice cream, and the best part was it only took twenty minutes from top to tail! (I lurve my new ice cream maker, which requires no rock salt or ice). When I priced it out, it was WAY cheaper than the premium, organic ice cream I'd been buying (about 1/3 of the price), and (even better) it was dairy free! I still had a ton (well, two cups) of nut fiber paste left over from making the nutmilk, so I decided to try my hand at making raw cookies, and see if it was really true that they tasted like real cookies. Instead of reading a bunch of recipes from people who, possibly, couldn't remember what a real cookie tasted like, I decided to develop my own recipe. 1. Soak the seeds and nuts in the water for 4-8 hours, or overnight. 2. Pour half of the water into a bowl, reserving it. 3. Place the remaining water and nuts into your blender, and blend on high speed for several minutes or until liquified. 4. Line a strainer with a very large nut bag (or, if you don't have one, a very large clean cloth napkin that doesn't have any kind of fabric scent or softener in it), and place over the reserved bowl of water then slowly pour the nutmilk slurry into the napkin. You may have to do this in batches. Squeeze the bag/napkin until all the liquid squeezes out. Reserve the nut fiber for recipes. 5. Season the milk with the agave nectar and vanilla, adding the salt a little at a time until the flavour you like is reached. Refrigerate up to a week. Shake well before using. Blend all of this together, then freeze in your ice cream maker, as per directions, or place into a large metal or glass bowl and freeze, whisking every fifteen minutes (you'll want to whisk it hard), for about 3 hours or until creamy and fozen. Transfer into a air-tight container and freeze til firm. Mix all ingredients until thoroughly combined. Shae dough into cookies and place on a dehydrator. Dehydrate at 110 degrees for 6-10 hours, or until 'cooked'. Store leftovers in the fridge. 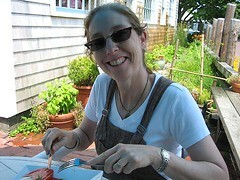 I love that you're experimenting with raw food. I desperately want a dehydrator but haven't forked over the moolah yet. Your six year old rocks! I hope mine has his same taste buds when... well, first when I actually HAVE one and second, by the time he/she is six. lol. The zucchini sounds yummy- I will have to try that sometime. Zucchini is my new friend- who would have thought it??? Anyway, very glad you're back posting! Yay! I can't wait to try your recipes. The ice cream looks fantastic! gals, you'll have to let me know what you think. The milk is really good. Feel free to use almonds instead of sunflower seeds, if you've got the resources -- it's still cheaper than store-bought (and healthier). I love making homemade almond milk. It is SO much better than the stuff you buy in the carton. If that's your only experience with almond milk, you'd think it was an acquired taste. But when you drink the fresh stuff, well, it's actually yummy. I pour it over my muesli every morning. So far, I've only made it with almonds (and agave syrup, vanilla extract and medjool dates), but I'll have to give the sunflower seeds and brazil nuts a try. Sounds great! Seamaiden's Book of Yum: Gluten Free AND Veggie! Comic relief specialist and all around nice gal.